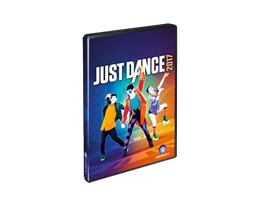 Just Dance 3 will make you dance with your friends to over 45 tracks from multiple genres and popular artists including Pump It" by Black Eyed Peas, “California Gurls” by Katy Perry featuring Snoop Dogg, "Duck Sauce" by Barbara Streisand, and "Hey Boy Hey Girl" by The Chemical Brothers. -13 playlists to choose from to show off your moves! -Get rewarded: the more you dance, the more you get !